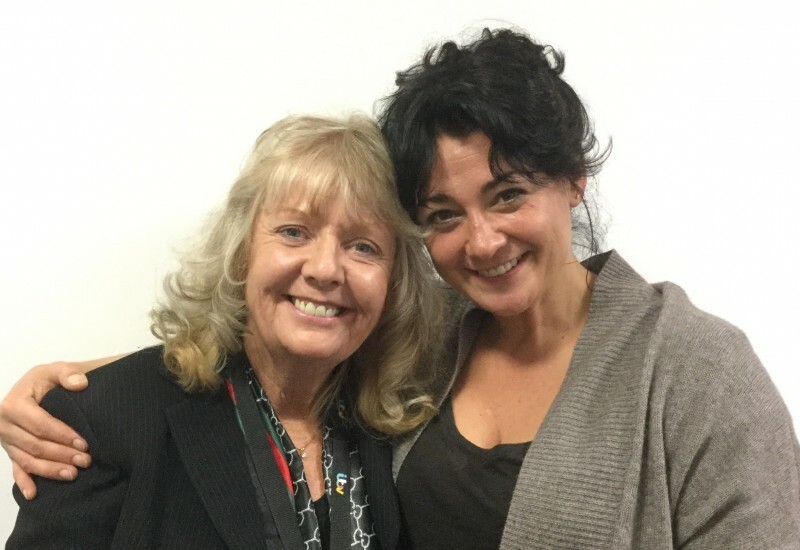 June is pictured above with Natalie J Robb from Emmerdale after reading for her at ITV Studios. June Field Known as “Worlds Greatest Psychic” after participating and winning “International Battle of the Psychics” which was aired and viewed by 34 million people. She has amazed audiences with her specific contacts and evidence that our loved ones are still with us. She also appeared in their “Psychic Detective” show and described a serial killer in very specific detail who was recently caught. He stated that she was 99.9% accurate with his description.! She is also Resident Psychic of The Sunday Post Newspaper where she answers hundreds of letters and gives evidence and comfort to people from all over the world. Having been born with the gift of sight she proves beyond any shadow of a doubt that life goes on by allowing loved ones to cross over and connect through her to their loved ones present. June has read for many celebrities who include Gene Wilder, Susan Boyle, Claire Sweeney, John Thomson (Cold Feet), Rumor (singer), Gaynor Faye, Toyah, Natalie J Robb (Emmerdale), Aggie Mackenzie (How Clean is Your Home), Vicki Gulvanson (Housewives of Orange County), ROSS King, Owen Paul, Paul Young, Gaynor Faye, Jane McDonald, Gary Numan and many others who can be seen on June's website. This evening promises to be of high energy, full of compassion and filled with laughter and tears but most of all evidence that your loved ones walk unseen by your side. Entry to those 16 years and over only.